Addiction is a chronic relapsing disorder and is one of the most important issues in the world. Changing the level of neurotransmitters and the activities of their receptors, play a major role in the pathophysiology of substance abuse disorders. It is well-established that N-methyl-d-aspartate receptors (NMDARs) play a significant role in the molecular basis of addiction. NMDAR has two obligatory GluN1 and two regionally localized GluN2 subunits. This study investigated changes in the protein level of GluN1, GluN2A, and GluN2B in the prefrontal cortex of drug abusers. The medial prefrontal cortex (mPFC), lateral prefrontal cortex (lPFC), and orbitofrontal cortex (OFC) were dissected from the brain of 101 drug addicts brains and were compared with the brains of non-addicts (N = 13). Western blotting technique was used to show the alteration in NMDAR subunits level. 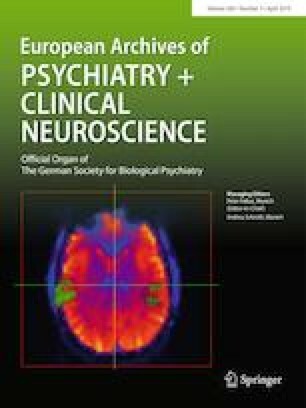 Data obtained using Western blotting technique showed a significant increase in the level of GluN1 and GluN2B, but not in GluN2A subunits in all the three regions (mPFC, lPFC, and OFC) of men whom suffered from addiction as compared to the appropriate controls. These findings showed a novel role for GluN1, GluN2B subunits, rather than the GluN2A subunit of NMDARs, in the pathophysiology of addiction and suggested their role in the drug-induced plasticity of NMDARs. Hamidreza Daneshparvar and Mitra-Sadat Sadat-Shirazi equal contribution. The online version of this article ( https://doi.org/10.1007/s00406-018-0900-8) contains supplementary material, which is available to authorized users. The authors acknowledge the grant support of the legal medicine research center.